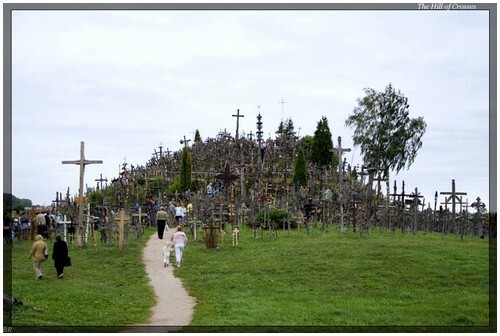 The Hill of Crosses, Kryzių Kalnas, located 12 kilometers north of the small industrial city of Siauliai (pronounced shoo-lay) is the Lithuanian national pilgrimage center. 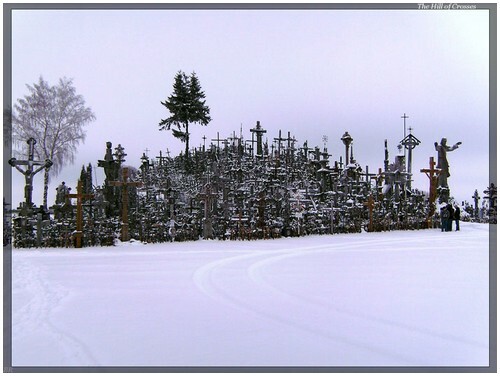 Standing upon a small hill are many hundreds of thousands of crosses that represent Christian devotion and a memorial to Lithuanian national identity. 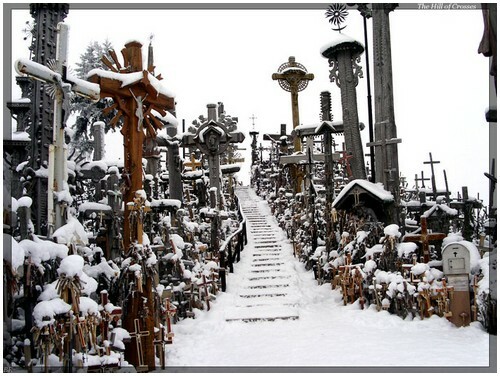 Captured by Germany in World War II, the city suffered heavy damage when Soviet Russia retook it at the war’s end. 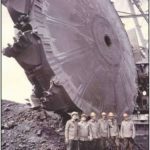 From 1944 until Lithuania’s independence in 1991, Siauliai was a part of the Lithuanian Soviet Socialist Republic of the USSR. 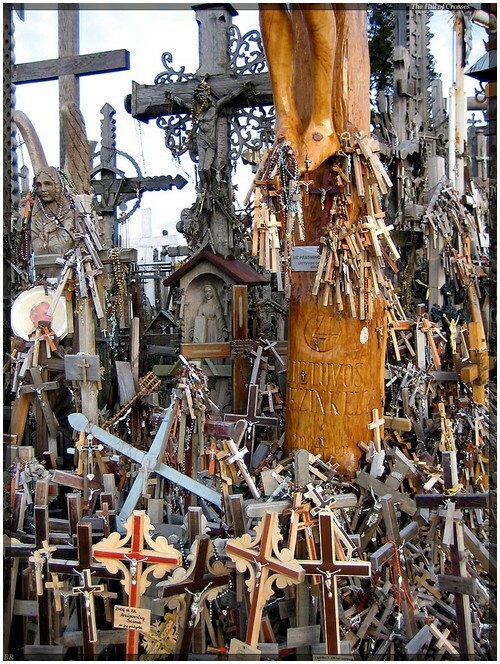 During the Soviet era, the pilgrimage to the Hill of Crosses served as a vital expression of Lithuanian nationalism. 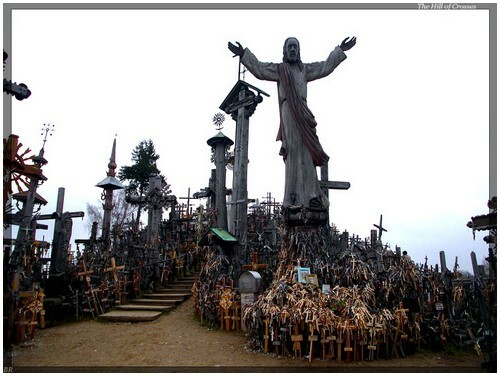 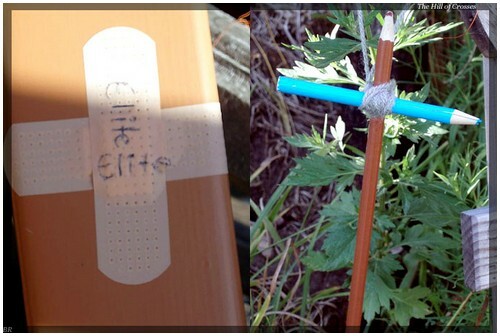 The Soviets repeatedly removed Christian crosses placed on the hill by Lithuanians. 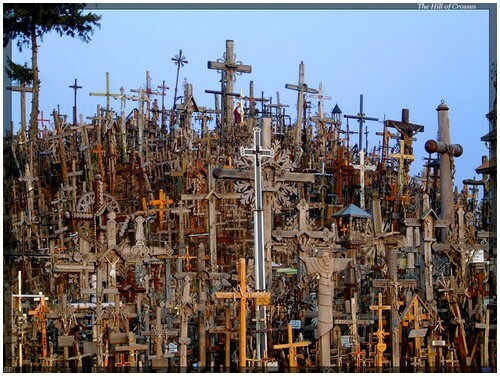 Three times, during 1961, 1973 and 1975, the hill was leveled, the crosses were burned or turned into scrap metal, and the area was covered with waste and sewage. 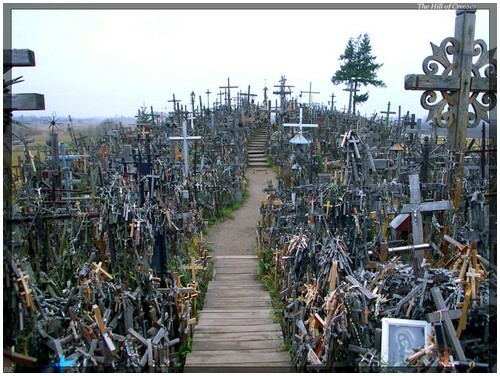 Following each of these desecrations local inhabitants and pilgrims from all over Lithuania rapidly replaced crosses upon the sacred hill. 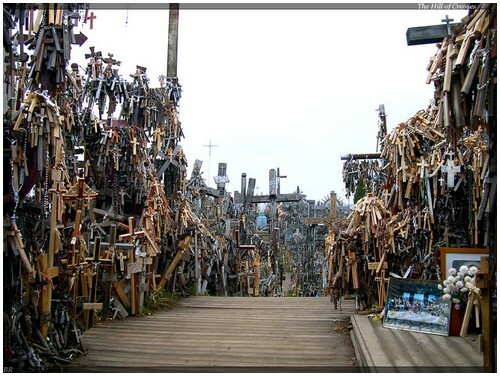 In 1985, the Hill of Crosses was finally left in peace. 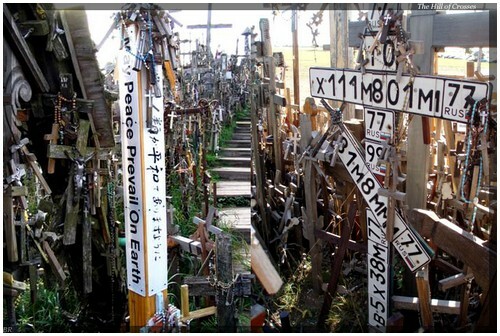 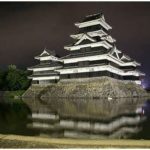 The reputation of the sacred hill has since spread all over the world and every year it is visited by many thousands of pilgrims. 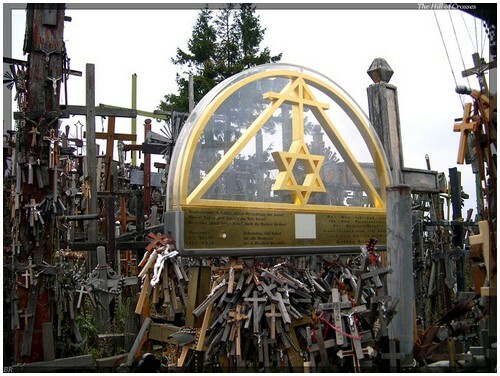 Pope John Paul II visited the Hill of Crosses in September of 1993.